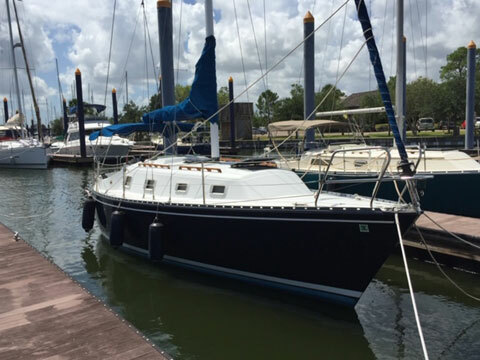 This Hunter 30 is a comfortable coastal/lake family cruising boat. 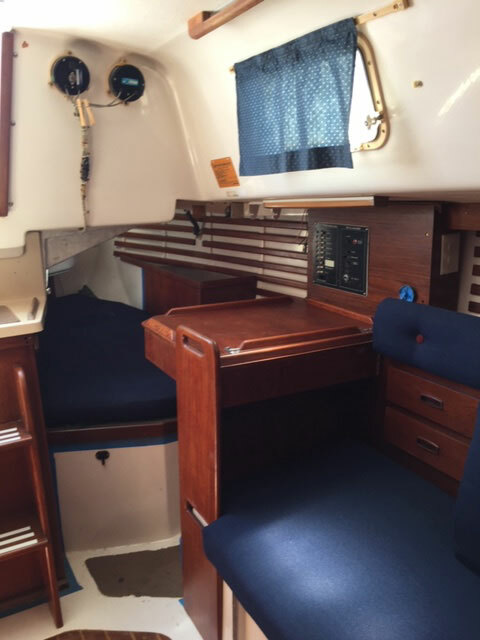 The cockpit will accommodate 6-8 adults. All running rigging is accessible in cockpit. 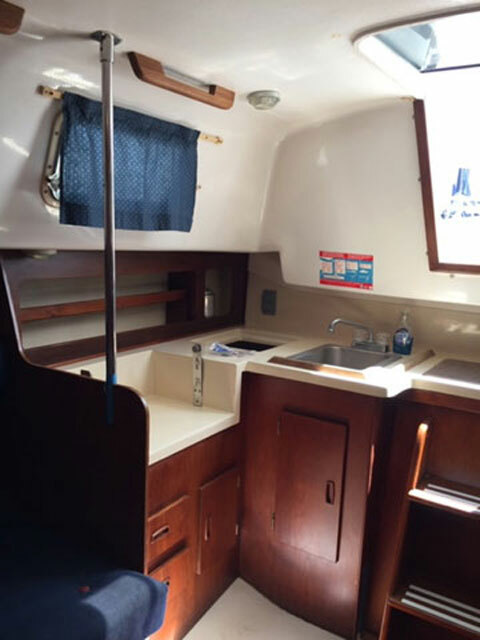 The interior is roomy with a main cabin containing two facing settees that convert into beds, a large quarter berth aft of the navigation station, a fold away wood table, and a compact galley with a large icebox. 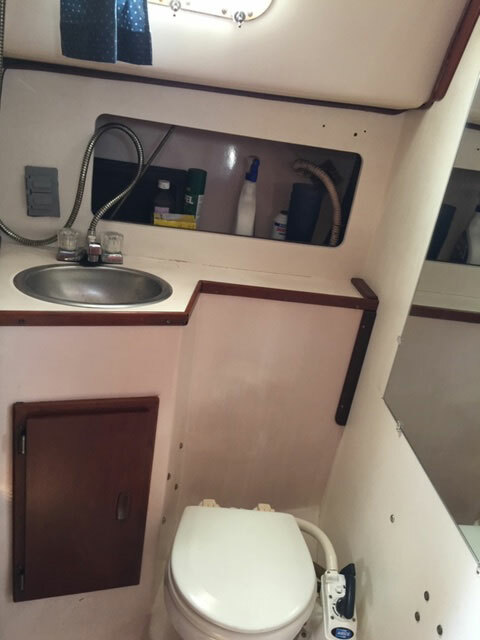 The head area contains a hanging locker, lavatory, head and shower. 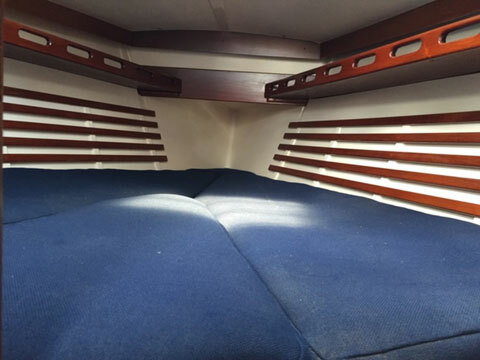 The v-berth offers a large private sleeping area. 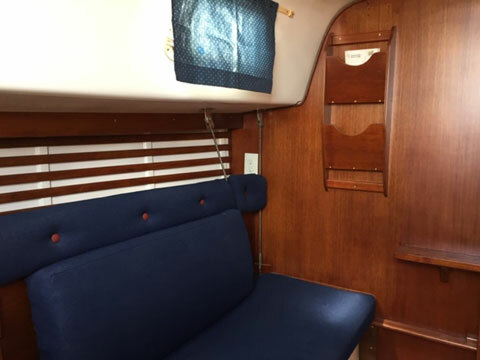 Sail Area	473 Sq. Ft.
March ‘09: Replaced propeller shaft, coupler, cutlass bearing and prop; Replaced lifelines. 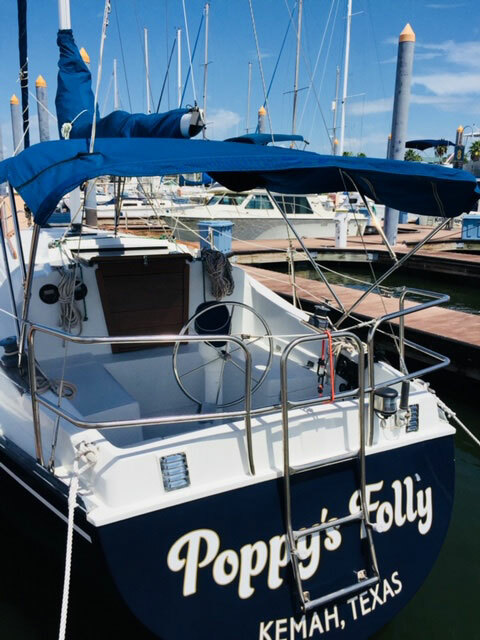 August ’11: Removed mast and replaced electrical, wind indicator and VHF antenna; Replaced all stainless standing rigging; Installed new Harken jib furler; Replaced mast compression post. 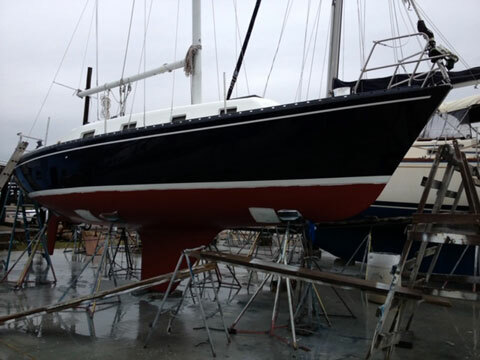 Nov ‘12: Professional topsides refinishing; Sanded entire exterior of boat; Painted topsides with Awlgrip paint; Repaired blisters below waterline; Refinished bottom with seal coat, primer and bottom paint. April ‘14: Engine checked and serviced. March ’17: Engine water pump rebuilt. April ’18: Boom rebuilt with new bushings, lines, etc.